Delightful Saturday! 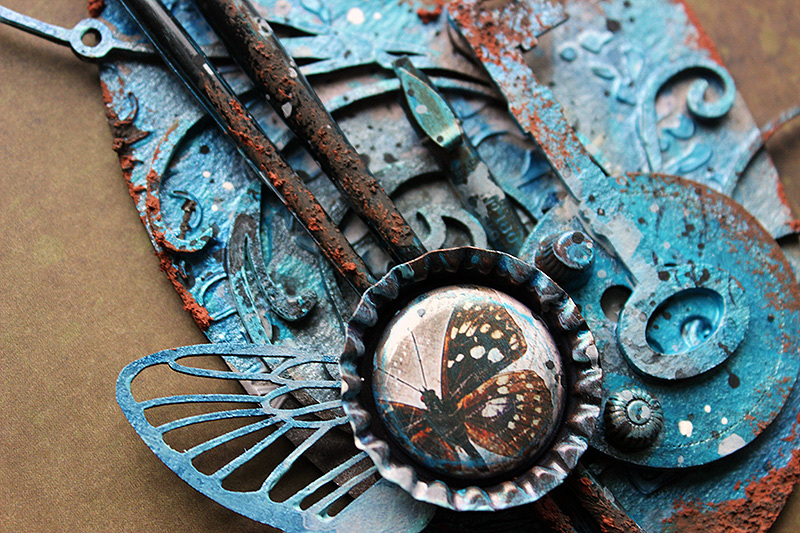 Today I'm sharing this mixed media piece with you which I created for Scrap FX. You can see the original post here (link) at the Scrap FX blog. 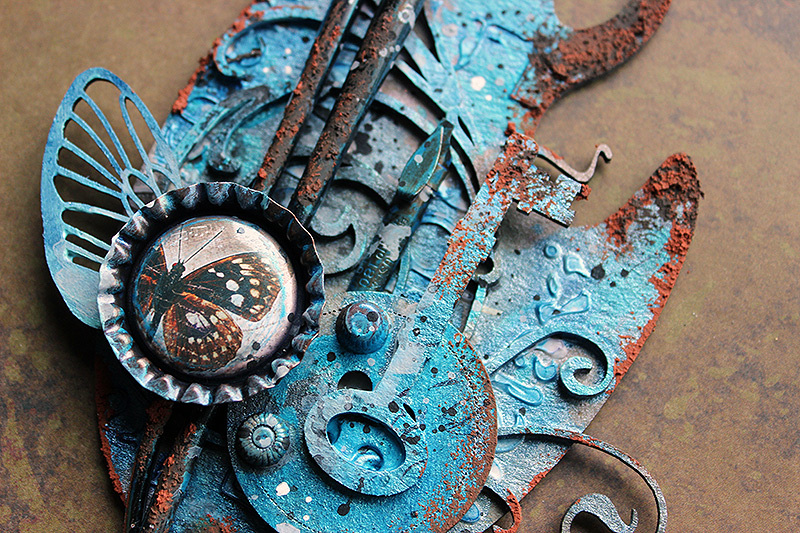 When I saw the palette chipboard I had a vision to use it as a base to a mixed media creation. Maybe it was this previous piece I did to a normal size palette that got me thinking about it (link), but I also loved working with the smaller scale. 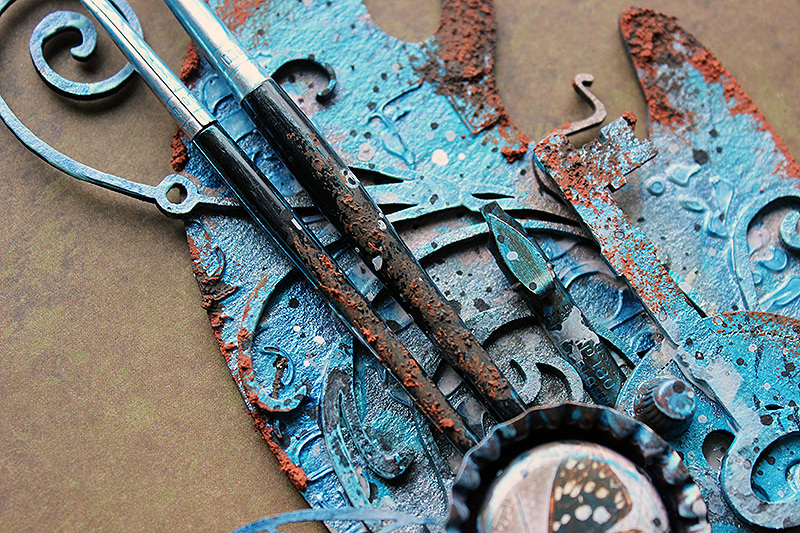 I started the project by adding some texture to the background using the "Travel" stencil and Modeling Paste. 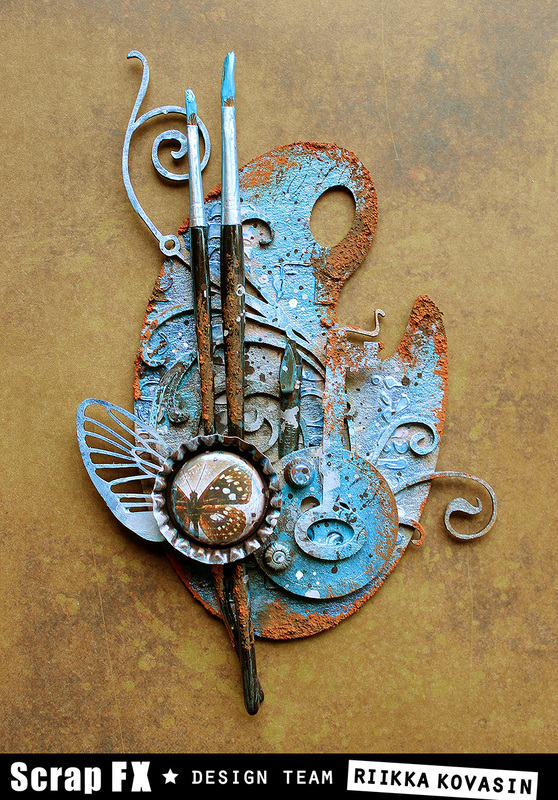 On top I then layered several different chipboards, like a button, a wing and a key. There's also metal pieces in the project as well as two old paintbrushes. I painted the project using the wonderful Finnabair acrylic paints and then added some splashes and rusty touches on top. 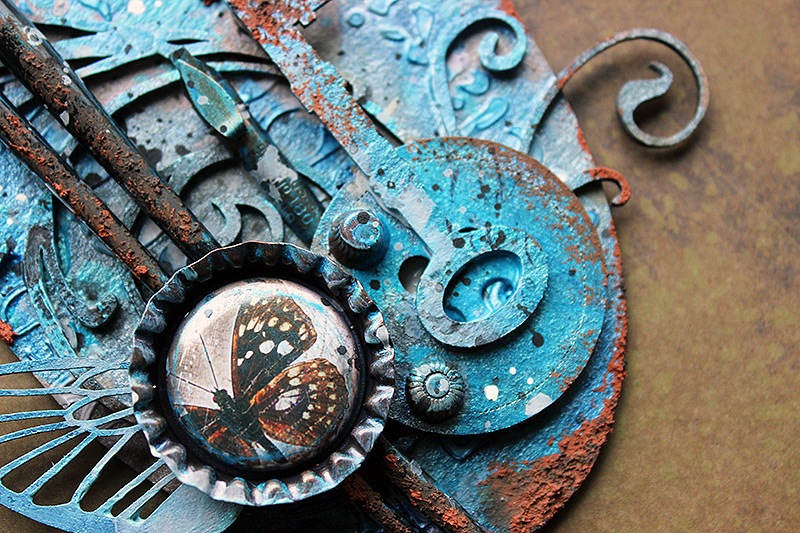 The turquoise really makes the rusty details pop! Thank you for stopping by today! I hope I have inspired you with this project! Rikka!! !Me encanta!!! !I loveeeee it!!! !Very beautiful!!! !